MTP designs and delivers tailored Financial Management programmes for financial people at all career stages from graduate entrants to qualified accountants of many years’ experience. The programmes for people in the early stage of their careers complement and reinforce participants’ learning while studying for their professional examinations. 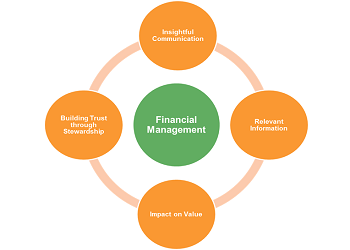 Our Financial Management courses are carefully developed for each client and the particular sets of participants and focus on providing relevant information to help in the decision making process. Key decisions can vary markedly from business to business and also between different functions in each company and our highly tailored approach ensures the outcomes of the course can be applied immediately in the workplace. We base our approach on the framework of Global Management Accounting Principles developed by CIMA and CGMA. Finance professionals need to be able to communicate effectively and to be able to adopt a holistic approach to avoid organisational silos. Different types of decisions require different information which includes both financial and non-financial infomation. It is imperative that the financial information connects the organisation’s strategy to its business model. An understanding of strategy and competitive advantage is imperative to achieve this. Finance professionals must balance the needs of different stakeholders, both inside and outside the business. By doing this effectively they can enhance credibility and trust.